NY Copyright Troll Bryan DeMatteo and His Split Court. Bryan DeMatteo is the attorney suing John Doe Defendants in the 2017 bittorrent-based copyright infringement lawsuits in New York. These New York bittorrent lawsuits involve “copyright trolls” such as ME2 Productions, Inc. (NY) (a.k.a. 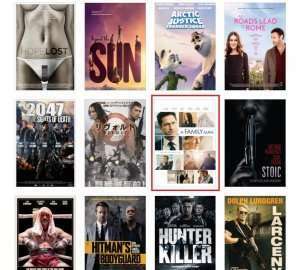 the Mechanic: Resurrection movie lawsuits), UN4 Productions, Inc. (NY) (the Boyka: Undisputed 4 movie lawsuits), Venice PI, LLC (NY) (the Once Upon a Time in Venice movie lawsuits), and more recently, Headhunter LLC (NY) (the “A Family Man” movie lawsuits). As a NY Licensed Attorney for 10 Years, My Thoughts on Bryan DeMatteo and His Lawsuits. Bryan DeMatteo runs DeMatteo Law, PLLC from the 5th Floor of 830 3rd Avenue in New York City (Midtown). I have dealt with him before, and he is anything but an “empty shell” attorney that I poke fun at on this blog. It was suggested that his cases are “just like any other bittorrent case” which is true as far as who his clients are, but Bryan fights his case differently from other plaintiff attorneys I have faced before. In short, be careful when hiring counsel to oppose this attorney, because he separates apart his lawsuits into different kinds of copyright infringement, and any “settlement factory” attorney will be caught off guard by this. I became an attorney over ten years ago in New York, and I have been practicing law and representing New York clients for ten years. For the recent “movie” cases, Carl Crowell has an attorney who I have dealt with before — Bryan DeMatteo. New York Headhunter LLC (NY) (the “A Family Man” movie lawsuit). What do I need to know about New York Attorney Bryan DeMatteo? 1) Be sure to understand the innuendos of bittorrent technology. He does. Bryan DeMatteo believes in the validity of these bittorrent-based copyright infringement lawsuits, which separates him from what I refer to as the “empty shell” local counsel plaintiff attorneys who I have seen read scripts provided to them by their copyright holder clients. In speaking to him (obviously it is best to have an attorney speak to him on your behalf), be sure you understand the innuendos of bittorrent technology, because he does. Show your incompetence, and he’ll likely plow right over your ignorance. 2) Bryan DeMatteo is on a mission to rectify a split in the NY Southern District Court. Second. Bryan DeMatteo is faced with a SPLIT IN THE SOUTHERN DISTRICT COURT which he is fighting an uphill battle to rectify. This split happened in 2012, when our law firm (Cashman Law Firm, PLLC) was representing clients against Mike Meier (the plaintiff attorney at the time) in the Digital Sin[s] v. John Does 1-234 (Case No. 1:11-cv-08170) case. This case [into which all other NY bittorrent cases were combined] caused the controversy Bryan DeMatteo is looking to rectify. Remember the Digital Sin, Inc. (NY) cases from 2012? While the details of the split are not relevant, in 2012, many things happened. 1) We were successful in having the judges consolidate and freeze all of the smaller bittorrent cases in New York into one case. 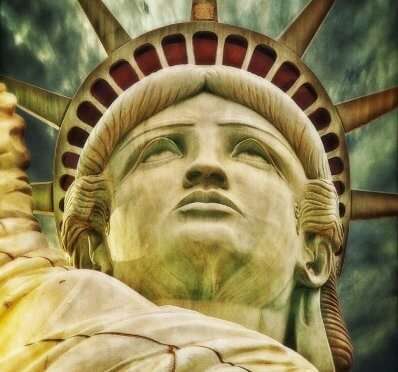 2) Because the New York bittorrent cases were facing joinder problems (which the judges recognized as a valid problem in most of the New York bittorrent cases at the time), the John Doe Defendants in the New York bittorrent cases were severed and dismissed. However, as a response to the dismissal, the plaintiff attorney would turn around and sue those same defendants as new John Doe Defendants in a second bittorrent case. This angered the judges. In sum, we were successful in forcing the plaintiff attorney to disclose whether these John Does were sued before, and in which cases they were sued. 3) Judges suggested that the New York plaintiff attorney pay 244 filing fees for 244 defendants x $350 each, rather than allowing him to pay one $350 fee [the fee in 2012 to file a lawsuit] to sue them all. This would have amounted to $85,400 in filing fees if Digital Sin, Inc. wanted to go after the dismissed defendants from this case. Needless to say, every one of our Cashman Law Firm, PLLC clients in the case were dismissed, and they were never filed against again. Since then, the three-year statute of limitations has run, and the plaintiff has lost the opportunity to sue my clients. Congratulations once again on hard earned, good results. Since 2012, FIVE YEARS have passed, and now we have Bryan DeMatteo to contend with. To bring you up to speed, it has been five (5) years since the Southern District of New York fiasco happened. While the rulings happened to Mike Meier and his Digital Sin, Inc. client, the “law” created by these cases is still binding on Bryan DeMatteo, and his New York ME2 Productions, Inc., New York UN4 Productions, Inc., New York Venice PI, LLC and New York Headhunter LLC lawsuits. He knows this, and thus his job in proving the validity of his cases is a complicated job. In Sum: Unintended Consequences from 2012 => Bryan DeMatteo. In sum, New York bittorrent lawsuits are not a place for the weak minded, nor are they a place for someone not intricately familiar with the innuendos of copyright infringement. For cases against Bryan DeMatteo, it is best to have someone who knows the New York courts, who knows many of the New York federal judges, and who has had experience in fighting bittorrent-based copyright infringement cases in New York. Obviously I am one of them, and I have been fighting these cases since they were first filed in 2010. CLICK HERE FOR OUR “CONTACT US” PAGE. Yes, those are killer robot tentacles being launched at the soldier’s face. Are the bittorrent cases coming to an end? Obviously, it would be wishful thinking to think that we have won the war, and what is that war? Piracy is illegal and it hurts the content producers. However, the solution to piracy is not filing federal copyright infringement lawsuits alleging statutory damages of $150,000 against each and every accused downloader, regardless of whether they did the download or not. And, the solution to piracy is not to force hundreds of families (987 families were sued by the copyright troll lawyers last year) to choose between two bad choices — either empty their savings to pay a multi-thousand dollar settlement or hire an attorney (which also costs money) to stop the plaintiff attorney from coming after the accused defendants. Defense attorneys who understand federal practice happily take clients who are accused of copyright infringement. They have read articles I or others have written, and they have read Prof. Matthew Sag’s “Defense Against the Dark Arts of Copyright Trolling” paper, which explains that even if the accused John Doe Defendant actually did the download (or, viewed the movie illegally using Popcorn Time software), they actually cannot prove that copyright infringement happened. These defense attorneys are WELL AWARE that the copyright troll plaintiff attorneys are under instructions to dismiss an innocent defendant after discovery, but before the defense attorney files a summary judgement motion (the first place a judgement “on the merits” can happen). Again, a plaintiff attorney will dismiss a defendant BEFORE the summary judgement is filed, which means that the defendant will LOSE all the tens of thousands of dollars he paid in attorney fees TO HIS OWN LAWYER! I have already covered the topic of “bad settlement factory attorneys” here, and here (and here). [Essentially, settlement factories pretend that they do not only settle clients, but every client interview leads to the answer of “you should settle,” or, “wait to see if they come after you and send you a settlement demand letter, then settle,” or some variation thereof. If you retain a settlement factory attorney, you will be paying less for your attorney, but you do not get the value for the amount you are paying. Why? Because 1) the physical amount of time they actually spend on your settlement versus the amount of money you pay gives them a $500+/hour hidden rate because they actually do not negotiate your settlement price. As a result, the amount you end up paying ends up being significantly higher than if you just hired an attorney (me or anyone else) to negotiate a settlement to right way, without cutting any corners. Oh, and the settlement factories will provide you merely a boilerplate settlement agreement (which has you admit guilt, and which potentially opens you up to future lawsuits). So why is it relevant that there have only been six (6) cases filed so far this month? whether the underlying movie company is willing to pay their attorney to name and serve clients and “drag them through the mud” before dismissing, or whether it is cost efficient, meaning, they pay attention to the bottom line. Why I just spent an entire paragraph listing our law firm’s strengths is to share that when there is a change in a trend, we notice, and there has been a change in the trend. So are copyright troll lawsuits dead? Unfortunately, no, they are simply pacing themselves. Since we discovered in March 2017 the underlying “common copyright troll” link between each and every movie lawsuit filed in federal courts across the US, we have been watching which movie company sues, where, and how often. That way, when a “bittorrent lawsuit campaign” is coming to an end, we see this trend and cut off all funding, even for defendants who may have otherwise settled the claims against them. This might anger and provoke the plaintiff attorneys who diligently read my blog (“hello y’all”), but the simple matter is that I do not take every client who calls my office unlike other firms, and if I sense a campaign is over, I’ll tell them to avoid even my fees and just watch the case and wait for a dismissal. I’ll even teach them how to do it themselves, and I don’t charge them for this. What trends have we spotted for August, 2017? Now to the meat of the article. 🙂 Data described here includes ALL FILINGS across the US for July 1, 2017 – August 8, 2017. ME2 Productions, Inc. cases are coming to an end, or at least that is how it appears. There have been four (4) cases filed in four courts (Washington, Colorado, Hawaii, and New York). *That is ONE lawsuit per state,* a mere “drip” compared to the volume of cases they have filed in recent months. The UN4 Productions ISP subpoena cases appear to be in the middle of their campaign. Cases are still being filed (predominantly in the Illinois Northern District Court), but there has also been a splattering of cases filed in Washington, Colorado, Hawaii, New York, and Texas [Texas is actually a new story, as having these cases expand into Texas with Gary Fischman as the plaintiff attorney is a new trend]). Aside from the Texas filings, you’ll notice the list of federal courts matches exactly with the list of courts where the ME2 Productions, Inc. cases are filed. Expect to see more UN4 Productions, Inc. cases filed, as this lawsuit appears to be targeting “ethnic” defendants with “deeper pockets.” These include Arabic speaking defendants, French speaking defendants, and Spanish speaking defendants. The Headhunter movie lawsuit campaign is still in its infancy. Only appearing on the scene recently, most of their cases are also young and in their infancy. 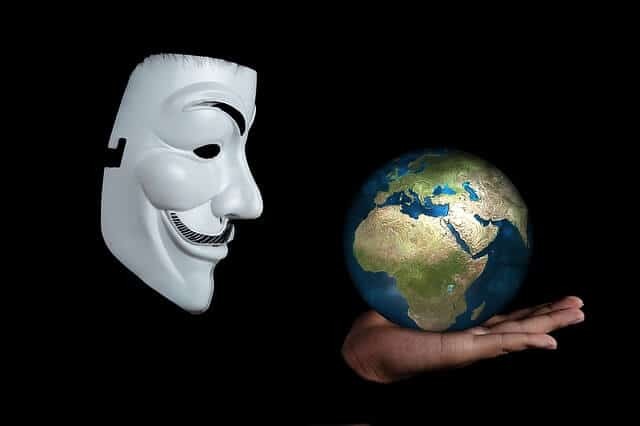 This means that even though cases have already been filed across the US, federal judges have not yet approved the plaintiffs’ requests to send subpoenas to the ISPs of accused defendants to unmask their identities. Thus, many of those who have been accused of being John Doe defendants do not even know they have been implicated in their lawsuits. Headhunter LLC lawsuits in sum have already “dropped their seeds,” and now while they wait for those filings to sprout and ensnare hundreds of families across the US for the “A Family Man” movie (irony), Headhunder, LLC is expanding the scope and bredth of their filings, and they are filing in liberal states (Texas is very conservative as a rule, but the city of Houston, and the various nerve centers are all liberal — that way they can vote Republican in every federal election, but they vote Democrat in-state to provide services to Texas citizens). I have not figured out the relevance of their choosing this demographic to sue for the “A Family Man” movie, but as these cases mature, I’ll begin to see the trends as they unfold. Stay tuned; there will be many more of these lawsuits. I wonder if Bruce Willis knew when he took this role that in addition to the “Once Upon a Time in Venice” movie destroying his reputation, it would also spawn a slew of copyright infringement lawsuits which destroy the lives of hundreds of families across the US. Venice PI movie lawsuits are in FULL SWING and are being accelerated and expanded across the US. This simply means that the Venice PI copyright holder is happy with the initial results of early lawsuits, and they are investing significantly more money into the enforcement of their copyright rights. What this means for you if you are a defendant in this lawsuit is that the plaintiff attorneys across the US are likely funded and able to spend large amounts of time and hours going after the many defendants for Venice PI, LLC cases. This means that they will likely name and serve defendants who do not settle, and they will drag innocent defendants into and through discovery before dismissing them. Contrast this to a cost conscious copyright holder who wants to spend as little as possible on their copyright trolling campaign — defendants from the cost conscious copyright holders will be dismissed outright and any naming and serving of defendants will be for “face saving” purposes only (e.g., to fool the federal judges into thinking that these copyright holder plaintiffs are “serious” about proceeding against those downloaders who actually downloaded the film). This copyright holder will likely be a problem for accused defendants. Because there are so many new defendants implicated by Venice PI, LLC, I am sorting the lawsuits by state so that it is easier to see how many families will be affected by these lawsuits. If I called Headhunter, LLC movie lawsuits an “infant,” then POW Nevada, LLC would be a newborn. POW Nevada is suing downloaders for the sci-fi movie “Revolt.” The movie trailer for this film looks intense. 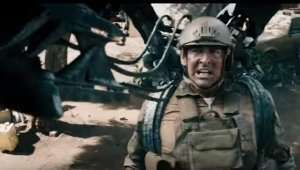 While this movie has not yet appeared on Carl Crowell’s RIGHTS ENFORCEMENT (RIGHTSENFORCEMENT.COM) list of clients, he is indeed the plaintiff attorney for these lawsuits. Thus, once again, this appears to be a “common copyright troll” lawsuit scenario. There are only two test cases currently filed against two defendants, so let’s see what happens with this copyright holder. If the copyright holder’s lawsuits start metastasizing into federal courts across the US, I’ll pay more attention to this one. For now, it’s a newborn and there are only two defendants. I would hate to end with a whimper rather than a bang, but really, the answer is that there are movie lawsuit campaigns — each one has its beginning, its peak, and its end. As you can see, the ME2 Productions, Inc. cases have had their run. Now in full swing are the UN4 Productions cases, the Venice PI cases, and the Headhunter LLC cases. I.T. Productions (the “I.T”. Movie Lawsuits) didn’t go anywhere, and Cook Productions (the “Mr. Church” movie lawsuits) might still be around, although I never sensed much unity of purpose across the various federal courts from these cases. As far as number of cases filed, this month in August, it appears as if the movie lawsuits are taking a breather. 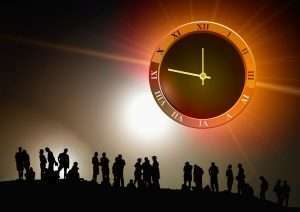 There is definitely a slowdown, perhaps because the college kids are on summer break, and the real lawsuits will start being filed after they return to college. On average, these movie copyright trolls file around 40 cases each month, with occasional spikes of 100+ cases in a “high season,” and 200+ cases filed in the spring. Venice PI & Headhunter lawsuits come to Texas. 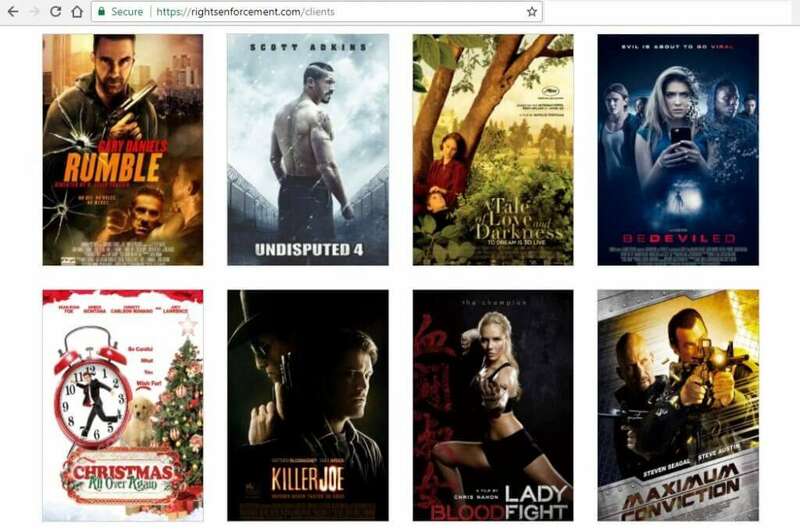 Literally one month ago, I wrote about the appearance of the UN4 Productions lawsuits suing accused downloaders of the Boyka: Undisputed 4 movie in Texas. 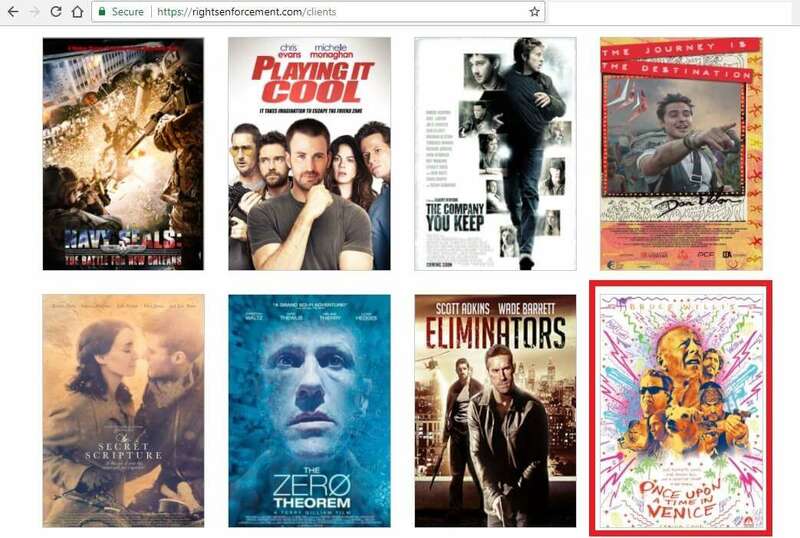 Apparently, Gary Fischman, the plaintiff attorney for the various RIGHTS ENFORCEMENT (RIGHTSENFORCEMENT.COM) subpoena based movie infringement lawsuits has earned the right to sue now for the Venice PI, LLC and Headhunter, LLC movie production companies. UN4 Productions, Inc. is suing for the unlawful download of the “Boyka: Undisputed 4” movie. To those 120+ Defendants who are implicated by Gary Fischman as “John Doe” defendants in this lawsuit: Understand that the Texas federal judges will likely allow Gary Fischman to send a subpoena to the Comcast & AT&T ISPs to obtain the identities of those accused of downloading the various movies. 1) Read the Frequently Asked Questions (FAQs) about your particular lawsuit. “Venice PI, LLC (Once Upon a Time in Venice FAQ)“). 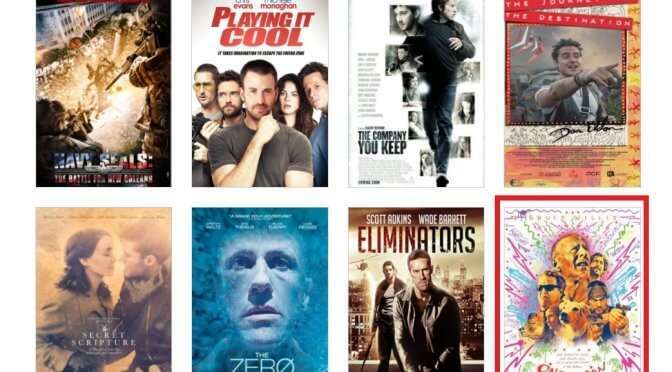 NOTE: Do not be fooled — each of these movies have become lawsuits because of Carl Crowell and his “common troll” RIGHTS ENFORCEMENT (RIGHTSENFORCEMENT.COM) entity, of which Gary Fischman appears to be his Texas local counsel. We understand that Crowell (or one of his attorneys) have contacted each of the movie production companies and have secured a license to sue for copyright infringement on their behalf. Thus, the various FAQ pages will be similar, because it is the same entity that is behind the scenes of each of these movie lawsuits. 2) Learn about what an “objection with the court” or a “motion to quash” is, and whether you want to file one. The letters from the ISPs will tell you that you have 30 days to file an objection with the court (which is referring to a motion to quash) before they are forced to hand over your information to Gary Fischman. Do not get trapped in an emotional rush to file a “motion to quash” just because you learned that a motion to quash filing could stop your ISP from being required to hand over your information to the plaintiff (such a filing has actually been UNSUCCESSFUL, read why). NOTE: The link I provided you above is from an article I wrote in *2010*, and now we are in 2017. This should give us some credibility, if we did not already have some in your eyes that we have an idea of what is going on in these cases. The motion to quash issue was figured out by us attorneys SEVEN YEARS AGO, and yet there are still new law school graduates and other attorneys who still try to sell “motion to quash” packages, claiming they will “expose the fraud” of these cases for the same amount of money you could have settled for and guaranteed an exit from the lawsuit (just to be clear, a settlement is NOT the least expensive option in handling cases such as these). A motion to quash is NOT THE PLACE TO FIGHT YOUR LAWSUIT, and judges will get upset if you misuse this tool. A motion to quash is a tool to determine 1) whether the subpoena is valid, and 2) whether the federal court has PERSONAL JURISDICTION over the accused defendant. Read about motions to quash here, understand the likely response if you file a motion to quash, and understand the likely question a federal judge will ask if you file a motion to quash. For those of you who do not want to switch to another article, the short answer is that a motion to quash is a good tool to stop the ISP from handing out your information if the federal court does not have PERSONAL JURISDICTION over you (e.g., if you live in one state, but are sued in another state). However, if you (an unnamed “John Doe” defendant) file a motion to quash, understand that the likely response from the plaintiff attorney is to oppose your motion to quash. The plaintiff attorney will likely state that you do not have STANDING to file the motion to quash because you are not a named defendant in this case. [Plus, the subpoena was not issued to you, but to your ISP, and thus you are not a recipient of this subpoena and it should be the ISP who should file the motion to quash, not you.] In short, don’t jump into a motion to quash frenzy just because you learn that the legal mechanism to stop a subpoena recipient from complying with the subpoena is called a motion to quash. 3) Learn about anonymity – how long you remain anonymous after receiving the subpoena from the ISP, and at what point your anonymity ends. Second. Be aware of your anonymity, and use it to your advantage. Understand each stage of the lawsuit, and know at what point you lose that anonymity. The reason this is relevant to you is because there is a finite amount of time in which you remain a “John Doe” defendant. During this time, Gary Fischman might learn who you are, but your information is in no way made public, and your involvement as a potential defendant in this lawsuit is not made public until you are named and served as a defendant. This is relevant because during this time, you can hire an attorney to converse with the plaintiff attorney on your behalf, and everything is done anonymously, meaning that your contact information never shows up on the court’s docket, on your record, in Google searches, or anywhere else. This is relevant because once you lose your anonymity, the fact that you were accused in a federal court of stealing a copyrighted movie becomes public knowledge for anyone who does a look-up of your name, including potential employers. A COMMON MISCONCEPTION is that the due date on the ISP subpoena is the date you lose your anonymity. The date you lose your anonymity is the date your plaintiff attorney realizes that he will not be getting a settlement from you and he decides to change your status from a “John Doe” defendant to a “named defendant (your name as the defendant)”. 4) Learn about settlement factories, settlement options, and *when NOT to settle*. Lastly, be aware that there are a number of settlement factories out there who will convince you that settling is the “cheapest” method of getting out of this case. This is simply not true. The fact of whether you actually downloaded the movie is possibly the most relevant piece of information in determining whether to settle. If you did not do it, then hiring an attorney to convince the plaintiff attorney not to name and serve you because you did not do the download could be the smartest thing you could do in any of these cases. Question your attorneys and ask what percentage of cases they settle, and what percentage of cases they do not settle. What if you DID do the download (or you DID watch the movie)? If you have done the download for which you were sued (or if you have watched the movie), the second most relevant is what else you have downloaded, watched illegally, or what else is in your bittorrent software’s download folder. The reason for this is because some bittorent clients “announce” to the bittorrent network which movies, music, e-books, and software you have downloaded, and which are actively in your “Download” folder available to be uploaded. With this information, the plaintiff attorneys search which files are available from your IP address, and they assemble a list of files you have downloaded. 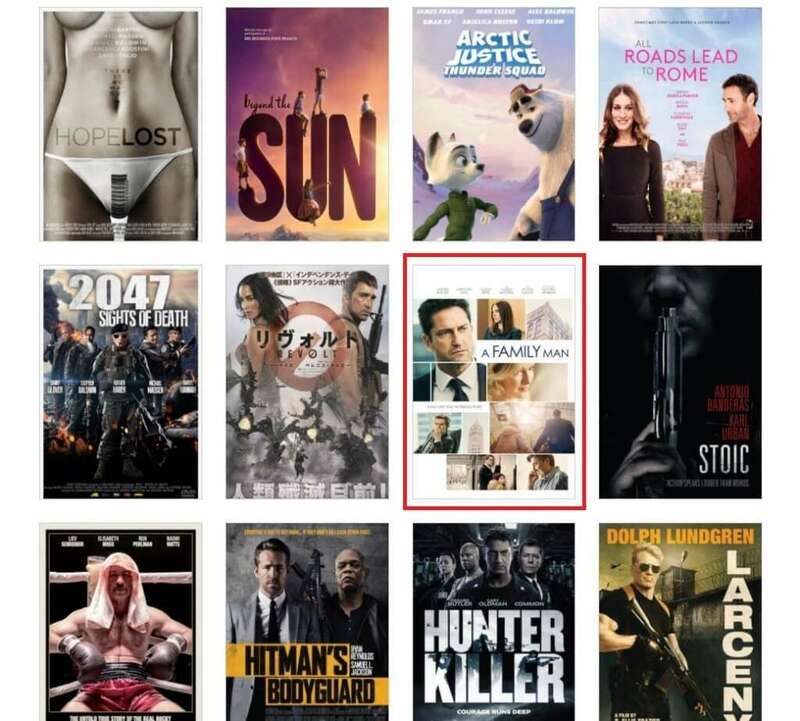 If you are an avid downloader, (while this information cannot be used to prove you downloaded THIS movie,) this evidence of “other titles downloaded” will affect how a plaintiff attorney such as Gary Fischman sees you as a potential target of this lawsuit. It will affect your chances of being named and served, and it will affect the leverage you have in settlement negotiations. This is where a good lawyer is probably a good idea, especially one with leverage in settlement negotiations — one who is willing to step into court if the settlement negotiations go awry, even if it is simply to admit guilt and argue minimum $750 statutory damages from the court. In the end, having your attorney know the personality of your plaintiff attorney is possibly one of the most important items to consider when hiring an attorney. Specifically with Gary Fischman, he has the mind of an engineer, and he treats his cases as such. Understanding how he thinks in considering each defendant is important in obtaining the best result, whether that is not settling the case, negotiating a settlement, or fighting the claims against you in litigation. [CONTACT AN ATTORNEY: If you have a question for an attorney about the various Texas-filed cases and options on how to proceed (even specifically for your case), you can e-mail us at info[at]cashmanlawfirm.com, you can set up a free and confidential phone consultation to speak to us about your case, or you can call us at 713-364-3476 (this is our Cashman Law Firm, PLLC’s number]. There is a “new” copyright troll filing lawsuits with a fervor across the US named “Venice PI, LLC” (more on the word “new”; more on “across the US”). The Venice PI lawsuits all claim $150,000 copyright infringement damages for the illegal download of the “Once Upon a Time in Venice” movie starring Bruce Willis. ISPs are sending notices to their subscribers informing them that a Venice PI subpoena requesting their identity has been provided to them, and that they are under an order signed by a federal judge to comply, unless the subscriber files a “motion to quash” the subpoena. ISPs sending the subpoena notices to its subscribers informing them about the Once Upon a Time in Venice movie lawsuit include CenturyLink, Comcast Xfinity, Hawaii Telecom, Optimum Online, Verizon Fios, and Time Warner Cable, depending on where you live. As of this evening, I see lawsuits filed as early as 6/28/2017 and as recent as 7/18/2017. Once Upon a Time in Venice movie lawsuits are being filed in Texas, Indiana, New York, North Carolina, Oregon, and Washington. …Where have we seen those list of states before?!? Already, without even looking, I can already see based on where the lawsuits are filed that this is yet one more “common troll” set of lawsuits masterminded by Carl Crowell and his RIGHTS ENFORCEMENT entity. I bet you if I looked up the RIGHTSENFORCEMENT.com website, I’d see the “Once Upon a Time in Venice” movie listed there. Let’s look. …Yup. Bottom right, LSD style. Personally, for a Once Upon a Time in Venice movie lawsuit, I would prefer something less noisy, but you’re not reading this for my aesthetic preferences. Point being, we are dealing with Carl Crowell and his local counsel in the various states. This means that we know not only what the lawsuits will look like (as far as which judge will allow what), but we know the plaintiff attorney who has sent the subpoenas, and their proclivities. 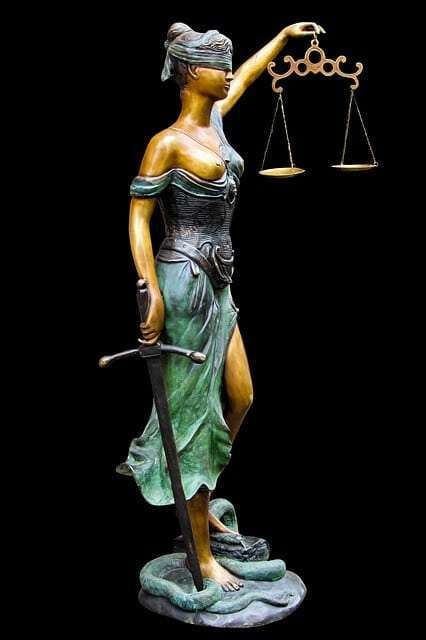 This means that we know which attorneys are squeamish in naming and serving defendants, which are comfortable taking the lawsuit straight into discovery, and which are “quick on the trigger,” (think, the train whistle blows before the train has left the station) meaning, which attorneys will get him or herself into trouble with a judge by not following the rules, and as a result, names and serves every John Doe Defendant. Now for those who want to settle, we already have an idea of what Venice PI settlement amounts each attorney will likely ask for (their asking prices), and based on the other lawsuits filed by these attorney, we have a good idea of what settlement amounts Venice PI, LLC will accept, if you decided to settle in the first place. Again, there is the no settlement representation, where you have me keep an open line of communication with the plaintiff attorney to demonstrate to him/her why you did not do the download, and there is also a “no settlement letter” which I write for innocent clients to stop the troll scheme cold. In short, there is a lot of repeat here because this lawsuit contains a lot of repeat from what we’ve seen in the past with the ME2 Productions (Mechanic:Resurrection) movie lawsuits, the UN4 Productions (Undisputed 4) movie lawsuits, the Headhunter LLC (A Family Man) movie lawsuits, the WWE Studios (Eliminator) movie lawsuits, the Cook Productions (Mr. Church) movie lawsuits, etc. Rinse, repeat, rinse repeat. “All I know about the Venice Pi, LLC (‘Once Upon a Time in Venice’) Movie Lawsuits (FAQ),” written on 7/18/2017.